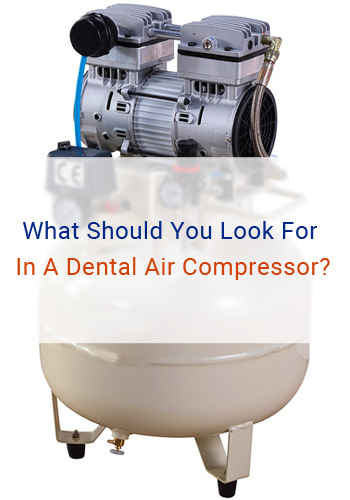 In one of our previous article, we outlined the various components of the average compressed air system, and what functions they served. However, there are a number of steps to take before you can consider designing your own specific compressed air system, starting with the subject of today’s post; determining compressed air demand. The process of determining your personal compressed air demand levels can vary depending on whether or not you are replacing an existing system or installing a system from scratch, as well as on the size of the system to be installed and the amount of equipment it will be responsible for powering. Although the process of determining demand can be quite laborious, it is nonetheless essential; poor design through not understanding the true requirements of your equipment can cost you money in wasted energy and reduced productivity. The process of determining air demand for a system that hasn’t even been designed yet can seem daunting but in actuality, it’s not as difficult a process as you may think. Most equipment manufacturers will include within the specifications an ‘optimum’ air pressure and flow level that will ensure the equipment performs at its best. These optimum levels of performance can go some way to determining your compressed air demands. You will also need to consider the individual cycles of each piece of equipment; it could be the case that one piece of equipment requires constant power while another is only ‘live’ for an hour a day. This is particularly relevant if the equipment powered by your compressed air system has vastly different ‘optimum’ performance levels. The ideal compressed air setup will feature equipment that operates in as narrow a pressure range as possible. However, achieving this balance can be difficult. In instances where equipment operates at different pressure ranges, one can either choose to design a system to operate at the highest pressure range and regulate down for equipment with less demand or install boosters for high-demand equipment. Determining your demand requirements is a much easier process if you have a compressed air system installed already; you’ll likely have an idea of your demands based on a previous installation and even if you don’t, you’ll have an existing system to measure requirements from. To get an accurate measurement of system air flow and pressure, install flow meters at various points of the system. You can use the data produced by flow meters to determine the flow pattern of your particular system, observing the various peaks and troughs of air flow to account for the fluctuating air demands of your system. This flow pattern data can then be used when designing your new system. 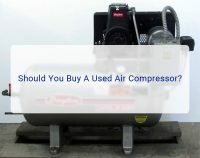 For smaller compressed air systems, you can also monitor the ratio between the load and unload times of your air compressor to give you an idea of the demands of your compressed air system. Your compressed air demand level will also be affected by factors such as leakages and ‘artificial demand’ created by excess system pressure. You can find out more about leakages, how to diagnose them and how to fix them here. It’s also a good idea to consider getting an independent air audit for a second opinion. As we outlined earlier, the costs of miscalculating demand can be high; getting an independent assessment of your demand can alert you to any miscalculations, as well as picking up on important data you may have missed yourself. 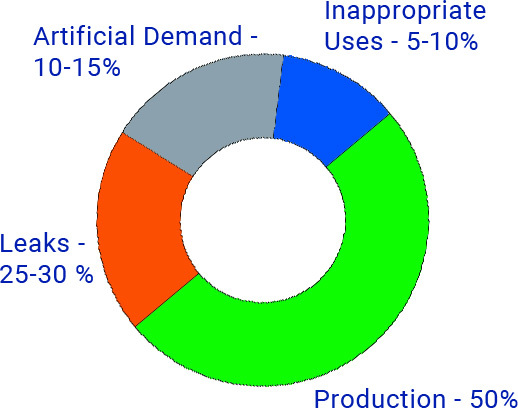 All in all, the process of determining your compressed air demand is a difficult but essential one. If you require an independent air audit, or have any other queries regarding compressed air systems you should contact experts.